Suite 1–Fourth Freedom Foundation, Inc.
Join the thriving business community in Downtown Goshen. 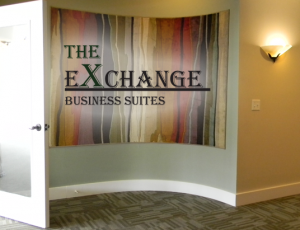 The Exchange Business Suites offer newly remodeled private and secure office suites combined with a shared space workplace setting offering amenities not available in this exciting market. 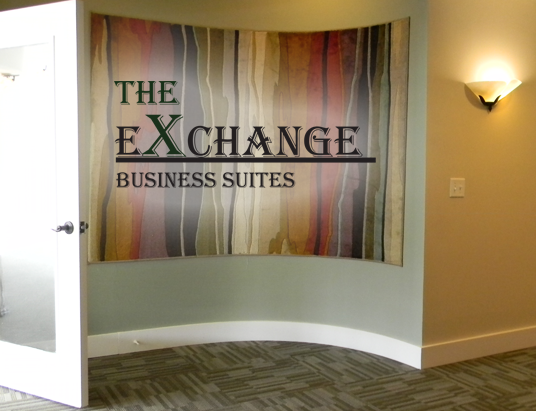 The Exchange Business Suites offer the right combination of security and shared amenities, all located in the historic Goshen Theater block. Front suites offer large windows facing Main Street. The four suites from the first renovation are occupied and three additional offices at the east end of the building were completed in February 2019. The north suite includes a small private office in addition to the large room with east-facing windows. That suite features a refurbished non-usable freight elevator from 1096. The south suite consists of one large room with a possible small stoop. The third office is the office for Doug Risser and MTS Realty. In addition, there is a large lounge area and storage room added. Renovation of the front space was completed in 2014. In addition to private and secure space is more than 1,000 ft² of common space. On the second floor of the Menno Travel Building, 210 S. Main St. in vibrant and historic downtown Goshen, near The Electric Brew, Constant Spring, adjacent to the Goshen Theater and Found. The Exchange Business Suites is also home to The Exchange Travel Service and Doug Risser, who arranges international travel for select clients. Risser’s specialties include travel in Latin America as well as river cruises and upscale “blue water” cruises. Currently The Exchange Travel Services is offering a Holland and Belgium “Tulips and Windmills” 9-night river cruise on Uniworld departing March 28, 2020.